The following are what are known as dependencies. They are not countries recognised by the United Nations, however, they have a large amount of control over their own affairs but are actually dependent on another country for certain things, usually defence and international representation. We are treating them differently to the recognised countries, giving you less information. Guiana is a dependency on the continent of South America. 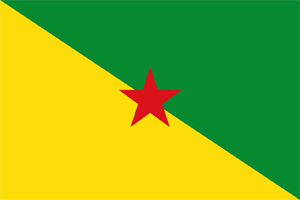 Guiana was originally home to indigenous tribes and then settled by the French. It changed hands several times but in 1946 it became an overseas department of France. A launch site for the European space agency is in Guiana. Weatherwise the temperature hardly varies all year round with heavy rainfall in the first six months and drier in the second. Guiana has a total area of 83,534 sq kms. It has a total coastline of 378 kms and has land borders with Suriname of 556 kms and 649 kms with Brazil. It has a total population of 250,337. 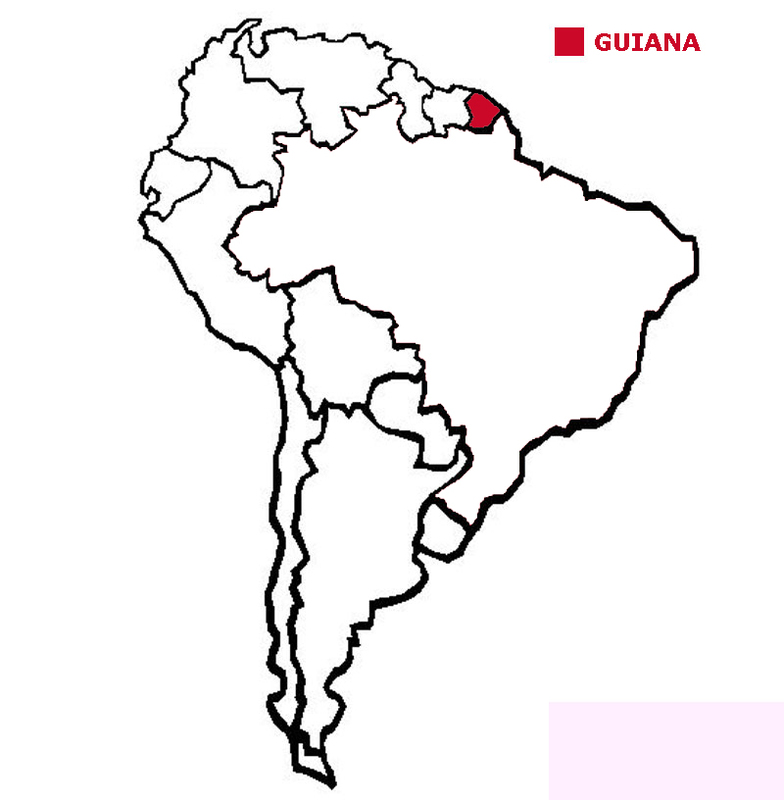 Below is a map showing where Guiana is and the flag of Guiana. 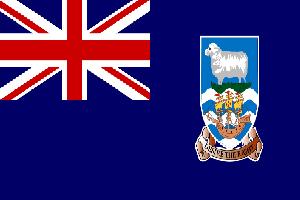 The Falkland Islands are a group of islands in the South Atlantic Ocean. The first settlers came from France. Spain and Britain then disputed the islands and in 1820 Argentina claimed sovereignty. In 1833 British forces expelled Argentina who continued to claim the islands. In 1982 Argentina invaded but British forces again defeated them. In 2013, 99.8% of the islanders voted to remain a part of the UK. The weather is cool and wet. In winter there can be some snow. The Falkland Islands have a total area of 12,173 sq kms. They have a total coastline of 1,288 kms and have no land borders. They have a total population of 3,198. 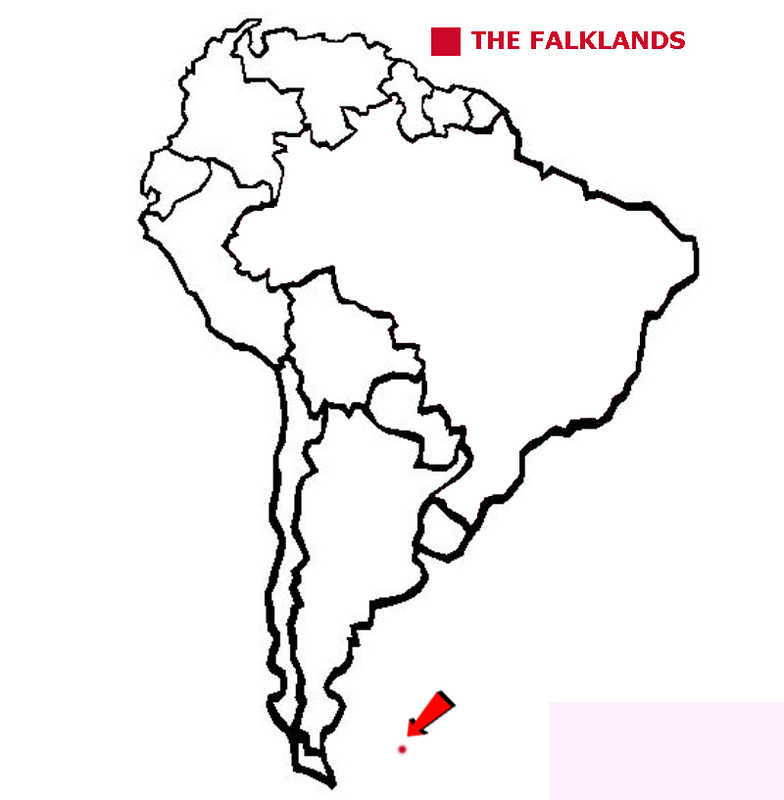 Below is a map showing where they are and the flag of the Falkland Islands.